Description: A code for Morphological Component Analysis (MCA). Description: A code for fast 3D curvelet transform and reconstruction. 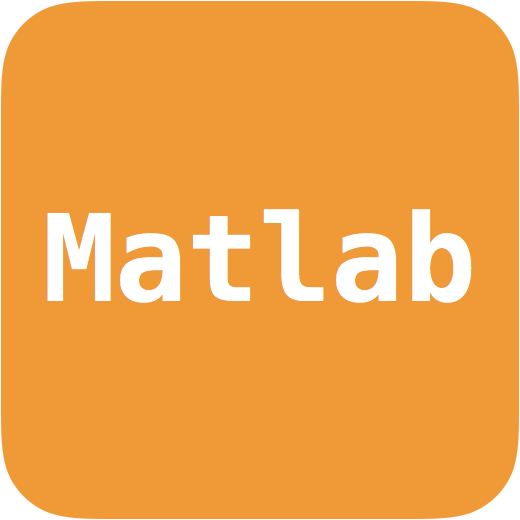 Description F-CUR3D is a software, based on the MATLAB package, which contains routines for the Fast 3D Curvelet transform and reconstruction. The F-CUR3D documentation is available in PDF format. See also the "3D curvelet algorithm description", and examples . A. Woiselle, J.L. 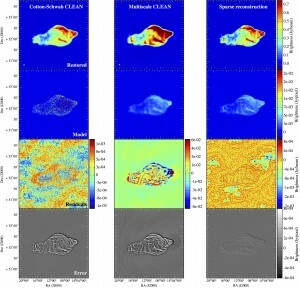 Starck and M.J. Fadili, "3D curvelet transforms and astronomical data restoration", Applied and Computational Harmonic Analysis, Vol. 28, No. 2, pp. 171-188, 2010. A. Woiselle, J.L. Starck, M.J. Fadili, "3D Data Denoising and Inpainting with the Fast Curvelet transform", J. of Mathematical Imaging and Vision (JMIV), 39, 2, pp 121-139, 2011. Description: A code for performing 3D spherical wavelet transforms on the sphere. Description MRS3D is based on two packages, IDL and Healpix. MRS3D can be used only if these two packages have been installed. MRS3D contains IDL and C++ routines for 3D spherical wavelet transform on the sphere . Source code and more information are available here. For more information, please contact Francois Lanusse (francois.lanusse@cea.fr). F. Lanusse,A. Rassat,and J.-L. Starck, "Spherical 3D Isotropic Wavelets", Astronomy and Astrophysics , 540, A92, 2012. The analysis of weak lensing data requires to account for missing data such as masking out of bright stars. 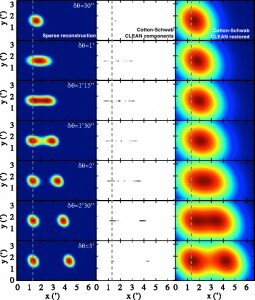 To date, the majority of lensing analyses uses the two point-statistics of the cosmic shear field. These can either be studied directly using the two-point correlation function, or in Fourier space, using the power spectrum. The two-point correlation function is unbiased by missing data but its direct calculation will soon become a burden with the exponential growth of astronomical data sets. The power spectrum is fast to estimate but a mask correction should be estimated. Others statistics can be used but these are strongly sensitive to missing data. The solution that is proposed by FASTLens is to properly fill-in the gaps with only NlogN operations, leading to a complete weak lensing mass map from which we can compute straight forwardly and with a very good accuracy any kind of statistics like power spectrum or bispectrum. The inpainting method relies strongly on the notion of sparsity and on the construction of sparse representations in large redundant dictionaries. Simulated mass map with the mask pattern of CFHTLS data on D1 field (on the left), inpainted maps map (on the right). We propose also a new method to compute fastly and accurately the power spectrum and the bispectrum with a polar FFT algorithm. The user manual introduces the missing data problem in statistic estimation and presents the available routines. An accurate description of IDL routines is given. 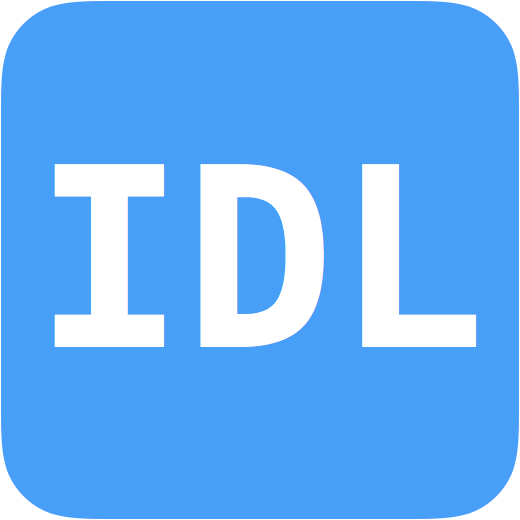 The IDL FASTlens software requires IDL (version 6.0 or later) to be installed on your computer. The binaries C++ called by IDL routines are not available under all the systems therefore you cannot use the package on all platforms. 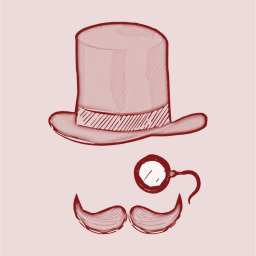 The supported platforms are : PC-Linux and Mac OS X. Please acknowledge use of the code in any resulting work, citing Pires, et al, 2009. We would be interested to collaborate with anyone requiring more advanced applications, and are always interested to hear about new applications. For questions and feedback or to be informed of the forthcoming versions, send an email to Sandrine Pires. Description: A deconvolution algorithm (written in C++ and Python) dedicated to radio interferometric imaging. 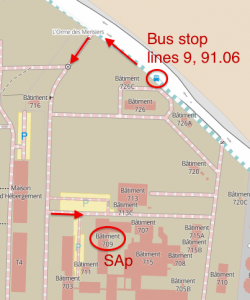 SASIR is a deconvolution algorithm (written in C++ and Python) dedicated to radio interferometric imaging and based on the convex optimization using sparse representations (refered to the framework of Compressed Sensing). As an alternative to CLEAN, it allows a robust reconstruction of the sky brightness composed of a mix of extended emission and point sources, with improved image resolution and fidelity. It has been developped and tested in the context of the giant radio interferometer LOFAR. It is being adapted on recent imagers use for LOFAR and other SKA pathfinders/precursors. 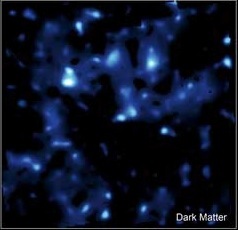 Super-resolved image of the radiosource Cygnus A (real data), reconstructed by the new Sparse imager (SASIR). The correct reconstruction of radio images from visibility data is an intense field of research since the coming of new generation radio interferometers such as LOFAR (LOw Frequency Array) and SKA (Square Kilometre Array). These instruments require a correct approach taking into account Direction-(in)Dependent Effects (such as variation of the beam, polarization, ...). The mathematical framework for calibration is provided by the RIME, the Radio Interferometer Measurement Equation, (refer to Hamaker, Sault, Bregman series of papers and Smirnov 2011 series) enables a proper handling for data modelling and calibration. In spite of the high angular/time/frequency resolutions and the large variety of baselines, these interferometers measure a finite number of visibilities over the course of an observation, giving an incomplete frequency sampling of the sky Fourier Transform. This incomplete knowledge of the sky FT creates distorted images when the visibility data are gridded and projected back to the image plane. These images are distorted by the instrumental Point Spread Function (PSF) which encode this lack of information. A robust imaging of radio interferometric data resides in the robustness of the deconvolution algorithm used to remove the effect of this PSF. 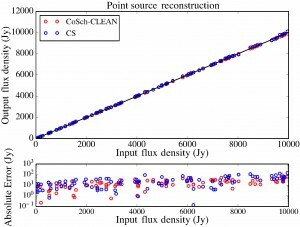 CLEAN and its derivatives (see family of CLEAN algorithms and associated papers) have been performing this task for decades on point sources will relatively good performance and robustness. However, Sparse data and the existence of multi-scale radio emission (mix of point source and extended emissions) are obstacles to the deconvolution. The framework of Compressed Sensing offer us an opportunity to redefine the deconvolution problem as an optimization problem (inpainting problem) targeting solutions close to the real sky brightness with the lowest reconstruction bias. 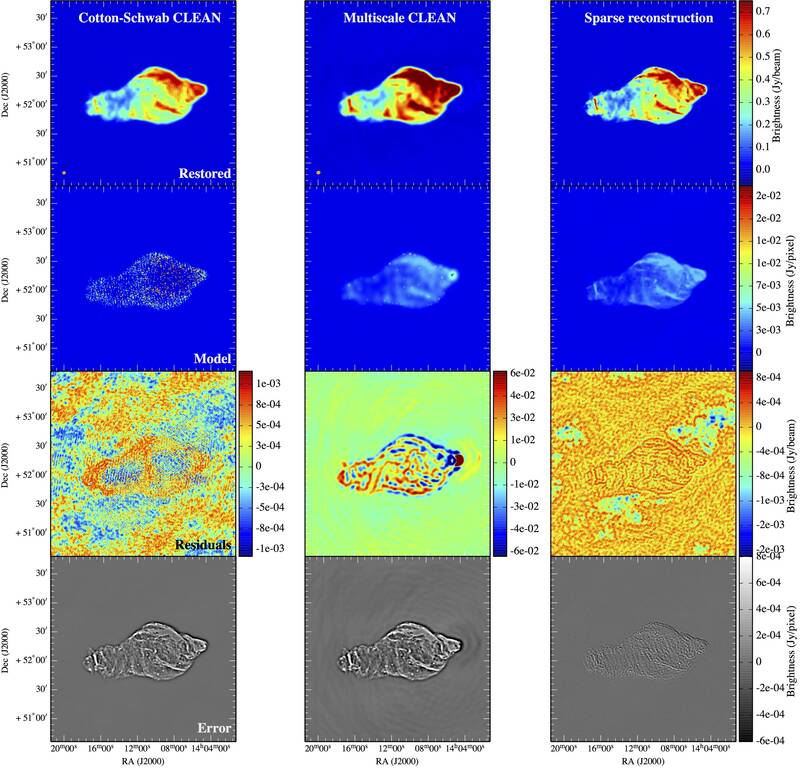 Our approach was to construct an alternative to CLEAN with the implementation of another deconvolution method based on the FISTA algorithm (Beck et Teboulle, 2009). SASIR (Sparse Aperture Synthesis Image Reconstruction) is an in-painting imager which combines sparse representation with -minimization. SASIR 2D-1D is a spin-off of SASIR (based on Condat-Vu algorithm) applied to the reconstruction of transient sources in the image plane. Project contributors: Dr. Julien N. Girard, Ming Jiang, Jean-Luc Starck, Stéphane Corbel and formerly Dr. H. Garsden and Dr. A. Woiselle. 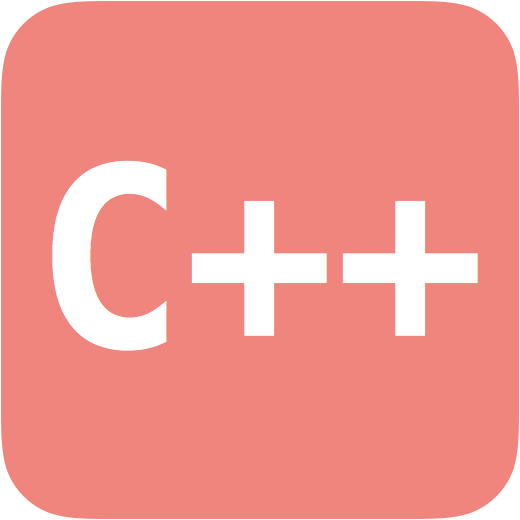 A C++ stand-alone in the ISAP package (not connected to an imager but using fits files as input/output). A C++ "LOFAR" version integrated in LWimager (check out the github repository) and using Docker containers to facilitate the compilation. A Python/C++ implementation pySASIR is currently being implemented on a separate github repository (to be released soon). 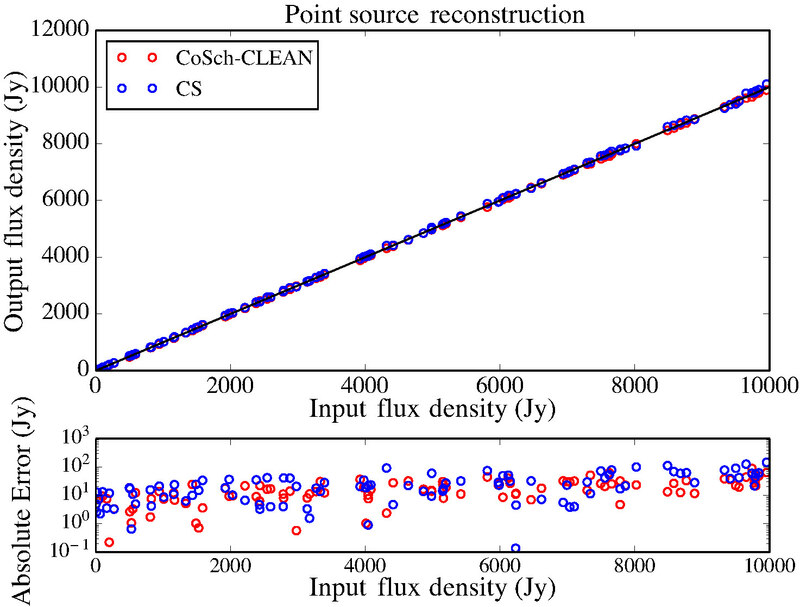 Current efforts are focused on the implementation of this deconvolution algorithm as a minor cycle in WSCLEAN (Offringa et al., 2014) and DDFacet (Tasse et al., to be submitted). Questions on compilation, the usage, access to the paper toy models and examples are available upon request to julien.girard [at] cea.fr. H. Garsden, J. N. Girard, J. L. Starck, S. Corbel, C. Tasse, A. Woiselle, J. P. McKean and 74 coauthors. J. N. Girard, H. Garsden, J. L. Starck, S. Corbel, A. Woiselle, C. Tasse, J. P. McKean, and J. Bobin. M. Jiang, J. N. Girard, J. L. Starck, S. Corbel, and C. Tasse. 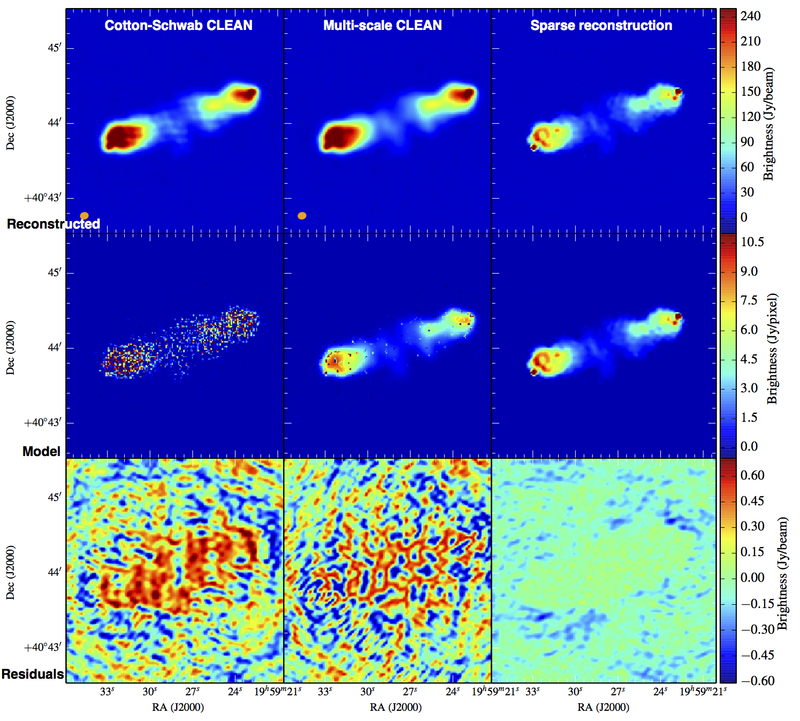 Compressed sensing and radio interferometry. J. N. Girard, M. Jiang, J. L. Starck, S. Corbel, Sparse spatio-temporal imaging of radio transients. The following results are extracted from Garsden et al. 2015. Simulated LOFAR dataset containing a grid of 10 x 10 point sources over a field of 8°x8°. - Two points sources (one at the phase center and one with a varying distance from the phase center). Fig. 2 Numerical test to show the super-resolution capability of SASIR (left) SASIR output image (center) Cotton-Schwab CLEAN components (right) CLEAN beam convolved image. The dash line marks the x coordinate of the phase center. Description: An IDL code for studying BAO. Notes: Contains additional C++ routines. BAOlab is related to the study of Baryon Acoustic Oscillations (BAO) using the 2-point correlation function. It enables to perform different tasks, namely BAO detection and BAO parameter constraints. The main novelty of this approach is that it enables to obtain a model-dependent covariance matrix which can change the results both for BAO detection and for parameter constraints. 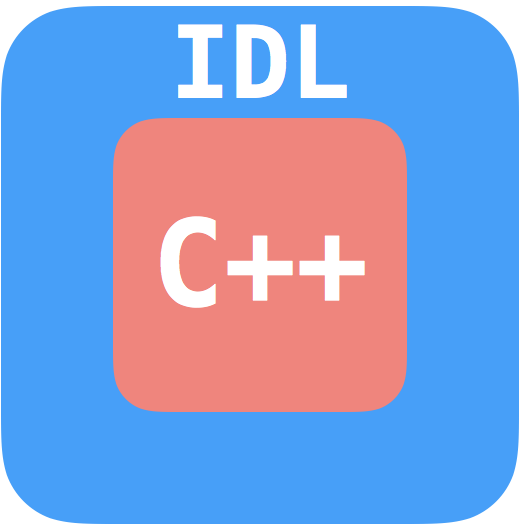 BAOlab contains IDL and C++ routines. Source code and more information are available here. A. Labatie, J.L. Starck, M. Lachieze-Rey, P. Arnalte-Mur, "Uncertainty in 2-point correlation function estimators and baryon acoustic oscillation detection in galaxy surveys", Statistical Methodology, 9, 85-100, 2012. A. Labatie, J.L. 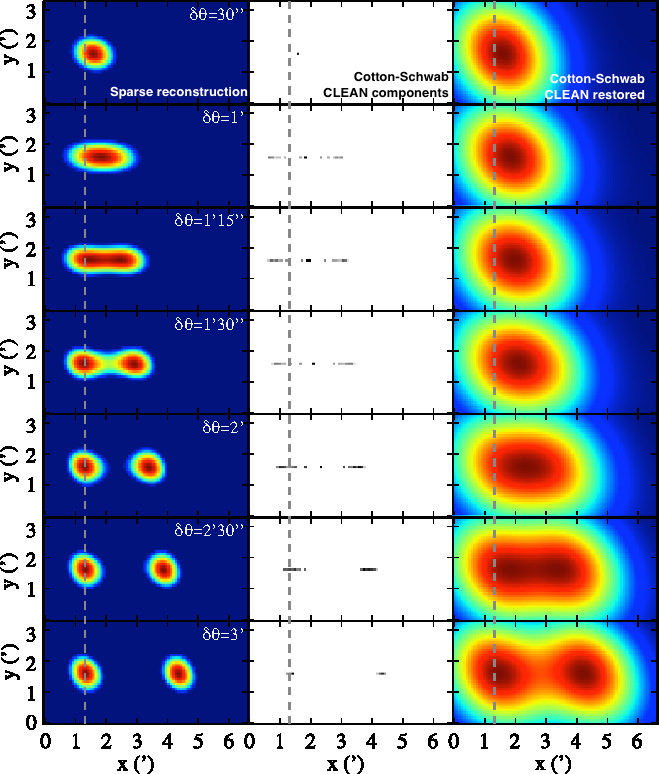 Starck, M. Lachieze-Rey, "Detecting Baryon Acoustic Oscillations", The Astrophysical Journal, 746, 172, 2012. A. Labatie, J.L. Starck, M. Lachieze-Rey, "Effect of model-dependent covariance matrix for studying Baryon Acoustic Oscillation", The Astrophysical Journal, 760, 97, 2012.